1. Roll your foot over a water bottle or similarly shaped object for one minute per foot. 2. Cross one leg over the other and pull upward on your big toe. Hold this position for 15 seconds, release and repeat three times, before alternating to the other foot. 3. Use a folded towel to mimic an exercise strap. Place the towel under the arch of your foot and gently pull upward so that your foot is stretched in front of you. Hold for 15 to 30 seconds and repeat three times. 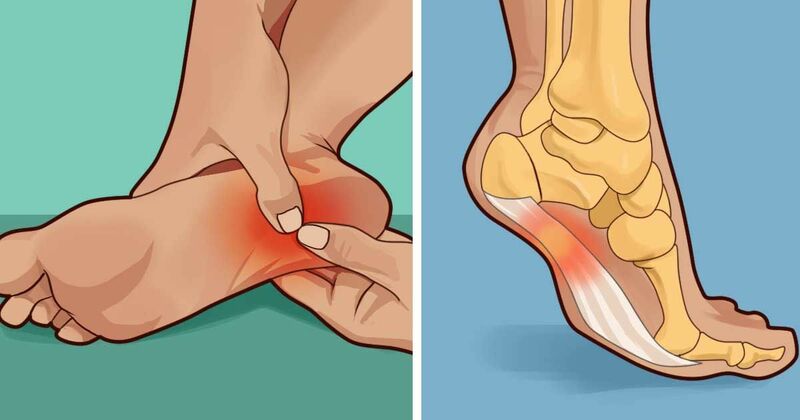 Your foot health matters. If you suspect that you are suffering from plantar fasciitis, do not ignore it. Seek medical advice before changing your exercise or diet plan.